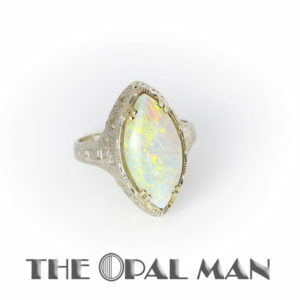 Traditional 14k white gold ring with Australian crystal opal and diamond accents. 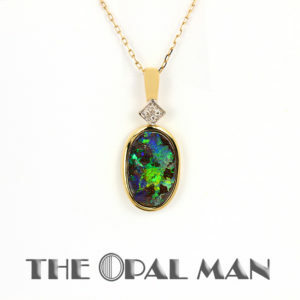 This crystal opal is mostly comprised of broad flashes of green and is accented by a halo of diamonds. More diamonds are set part way down the ring shank. Size: 7.00 Please call if you have any questions about resizing.